The ZGH high speed mixer is widely used in the pharmaceutical, chemical, and foodstuff industries for mixing powdered or damp materials. 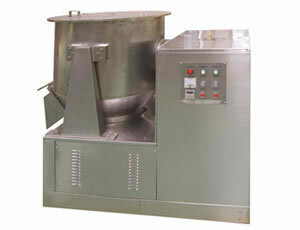 The high speed mixer ensures efficient, uniform mixing. The equipment pieces that come into contact with raw materials are made of stainless steel. The mixing shaft is sealed to avoid any loss of material, and the bearing and transmission have a lifetime guarantee. 1. The centrifugal force caused by the vertical rotating paddle in the bottom creates a vortex, making complete mixing of ingredients possible. 2. The side paddle of the high speed mixer crushes the outer material, expanding the relative motion between materials and improving the mixing effect. 3. Double action mixing accomplishes efficient and thorough mixing which is superior to other types of mixing equipment. 4. 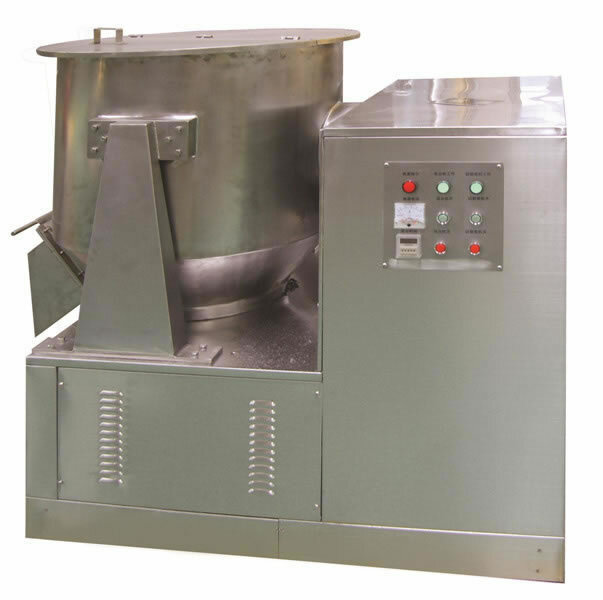 The high speed mixer has no dead angle in the mixing chamber, materials are discharged quickly, it is easy to clean, and GMP requirements are met. 5. All parts which come into contact with raw material are made of stainless steel. There is no volatilization, deterioration or loss in mixing, which ensures the correct ingredient proportions are achieved. 6. The high speed mixer is suitable for dry and wet material mixing in different proportions. It is often used in creating chicken essence, medicinal granules, and instant drink mixes. As a professional high speed mixer manufacturer in China, our company offers a vast range of products that includes a two dimensional mixer, fluidizing drying equipment, chicken seasoning granulating drying machine, and more.